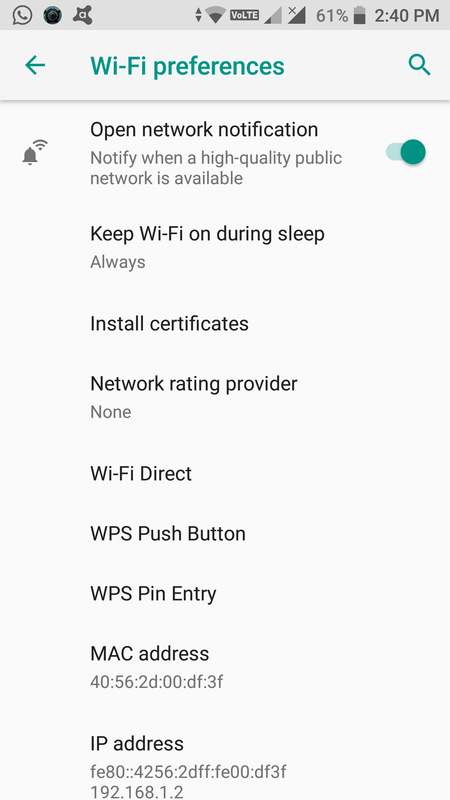 If google account has been added, then there is no option to choose "phone only" and that's native google Contact APP design. Hi @Abhishek_TV or @hsr whenever I try to call from jio network is get this error . Yesterday it was working fine. To make this work I need to restart the phone even scanning network manually doesn't work. @PrasenRao Can you disable "Wifi calling" and check? dude I think they have already told they cant do anything in this case as that is google contact app. Guys look at this once. Guys, refer below tcloud URL, it has user debug EMMC image and also readme file how to download this image with QFIL tool to unlock the boot loader. https://smartron.cloud/ByNCxQ5cf NOTE: Smatron is not responsible for any further experiments with the unlock boot loader version. This is from google Android O, If account is added then the contacts would be synced with the account you added and not phone only option. above is as per google search known issue on different phones. 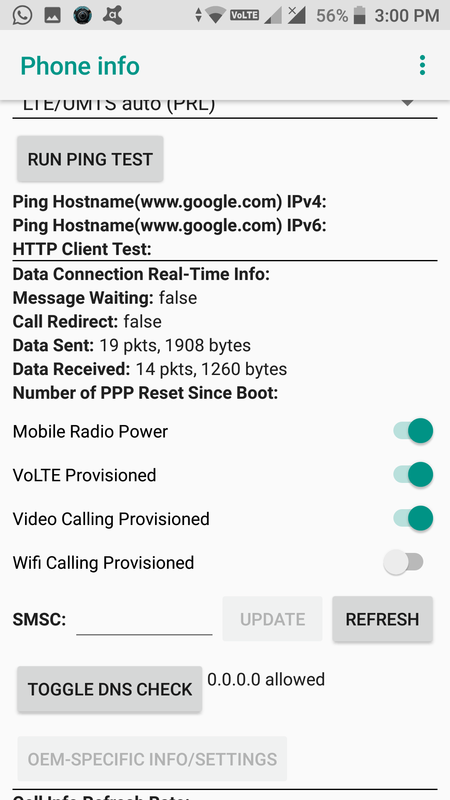 Disable Wi-Fi calling and it might work. then you provide the solution ! The same problem frequently occurs with me too. 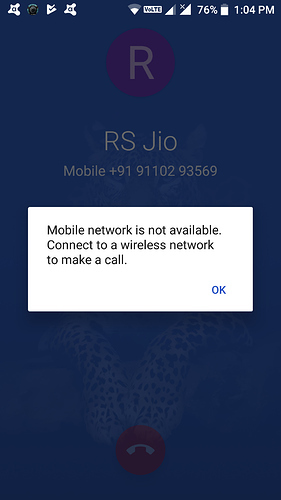 In fact, despite signal strength is shown as full on status bar, error message comes "no network" and it is true because in this situation, SIM name is being shown as "Card 1" instead of "Jio-4G". More over APN detail also vanishes. This only get reset if I reboot the phone or disable and re-enable the SIM. The problem is very annoying and supercedes all the positives of Oreo update. 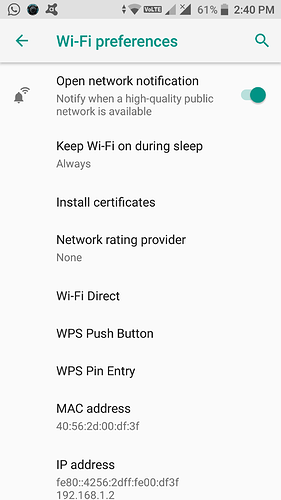 Please note that Wi-Fi calling is already disabled. Hi @Abhishek_TV , this is where I am stuck I don't know how to turn off wifi calling. Pls check screen shot. 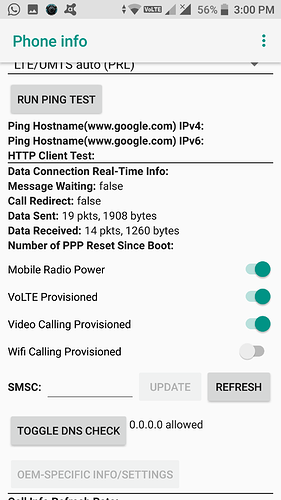 Go to Dialler >*#*#4636#*#* > Phone info > Dissable WiFi calling. Hi @Abhishek_TV, I tried that but I am not able to save setting, again it comes back go normal.